India is a mystical land and has a lot to offer for those who come here to explore her grandeur. The country has so many states and each of them have a different story to tell. It is extraordinary to see how different people, with different cultures and languages can live together as one. That was the vision of the people who built this country and that have come true. Four of the world’s religions originated in India, namely, Hinduism, Buddhism, Jainism and Sikhism. Therefore, you can well expect to see varied cultures and traditions, languages, people, different cuisines, all in the all, the nation is a culture curry. If you are on a short trip to India then you will be disappointed as there are so many places to see that you cannot really say that you have seen it all and that you actually know the country. India means different things for different people it depends on what you have seen and heard and known. Therefore, the suggestion is that you take a considerable time off to see the country in its whole. 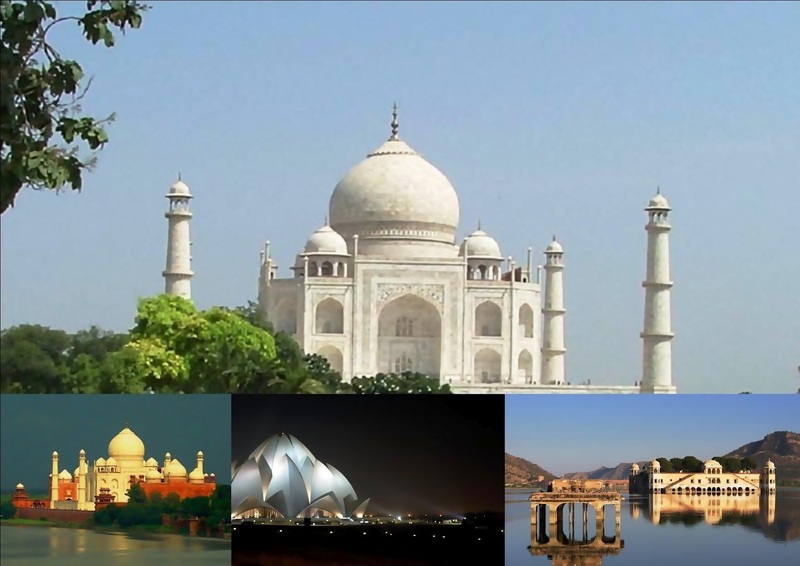 Very popular with tourists is the trip to North India and covering the Golden Triangle Tour (Delhi, Agra, Jaipur) For a first time visitor, that usually is a must visit. You can also take a trip to the south of India, and visit the backwaters of Kerala, Andhra Pradesh, Karnataka and Tamil Nadu to again witness a different flavor of India. If you want enjoy the beaches and then you should head to the state of Goa that is where the party starts and it never ends. Mumbai also offers quite a bit for tourism and visitors coming on business trip combine tourism with it. · Understand what your interest areas are and pick destinations accordingly. E.g. if nature interests you then backwaters of Kerala or mountains in Himachal Pradesh and Uttarkhand could be your options. To see royal palaces and culture, Rajasthan might be your go-to place. Do not pack in too much as it will not only lead to fatigue but will also keep you from experiencing the culture and places fully. Sample the local cuisine, but go easy on the quantity in the beginning until your stomach gets used to the spices. If you know any locals, get information from them and take their help to plan your trip. Be careful in your dressing as people here dress more conservatively, particularly in smaller cities. Big cities like Delhi, Mumbai and Bangalore are less conservative than others, but even then it is better to be on the safer side. It is mandatory that religious places in India like temples and gurdwaras should be entered barefoot. Please keep this in mind. Use services of a trusted travel provider. Things are not always as they appear on the website. So, please do your due diligence before making your bookings. Take a local phone SIM. It comes in very handy while on the move and call rates are quite cheap in India. No matter what place you visit and no matter which activities you do, India visit is sure to be an adventure, a surprise, and an experience of a lifetime! So, put India on your travel plan now!